THE MCG will be the home of the Grand Final until at least 2057 under a mega-deal with the Victorian government. 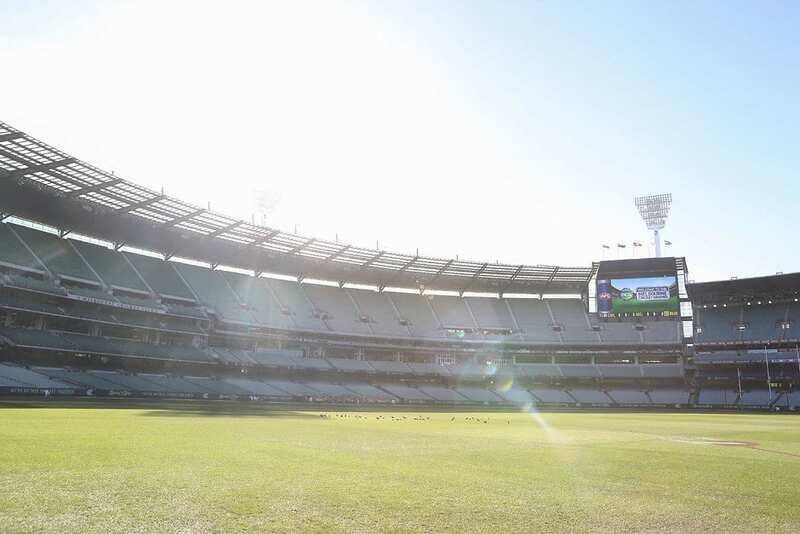 THE MCG will be the home of the Grand Final until at least 2057 under a mega-deal with the Victorian government expected to be announced on Friday. The agreement with premier Daniel Andrews' Labor government and the AFL is part of a broader sports package that will see $225million in investment in Etihad Stadium and the Docklands precinct. The MCG's Great Southern Stand will be upgraded to ensure the ground's capacity is maintained above 100,000 as a state-of-the-art venue. AFL.com.au understands a complete rebuild of the Great Southern Stand is the MCG Trust's ultimate plan, but it could still be several years, even a decade or more, away. Additional funding is set to be provided to improve facilities for the rapid growth of women's football and elite local level sport in key suburbs and regional areas. Ikon Park in Carlton – formally known Princes Park – will be locked in as the Victorian home of women's football. The deal to keep the Grand Final at the MCG has been extended by a further two decades. A hotel tower on the current site of AFL House isn't believed to be part of the government funding, but could be funded by the AFL itself. It's been speculated the new luxury hotel which will help link Etihad Stadium to the Victoria Harbour waterfront will have a ballroom big enough to host the Brownlow Medal and other functions. A full announcement from Premier Daniel Andrews is expected on Friday. Funding for the package is set to be included in the upcoming Victorian state budget. Non-Victorian clubs are now likely to use the Spring St cash splash to lobby their own state governments for more funding – in particular for women’s and grass roots football.